The Centre Of Spirituality "CARLA"
began operations of reception on July 1, 1971.
to God and to the service of their brothers and sisters. the WIFI connectivity of the entire structure. 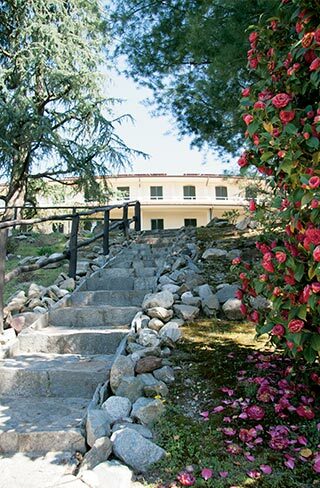 the large park with corners equipped, climate and altitude (525 m), custom family style cooking. promotes tourism for all ages and interests. can organize and customize various types of services for every occasion: a simple snack, a sophisticated Coffee Break, a business lunch, a buffet for baptism, confirmation, communion, a lunch with friends, a quick lunch for groups in transit, an unforgettable wedding banquet. specialized in the field and with highly qualified personnel.